Gender in the workplace remains a red-hot issue as the number of women in senior managerial positions slowly increases and discussions on the role of biology in the gender gap take centre stage. 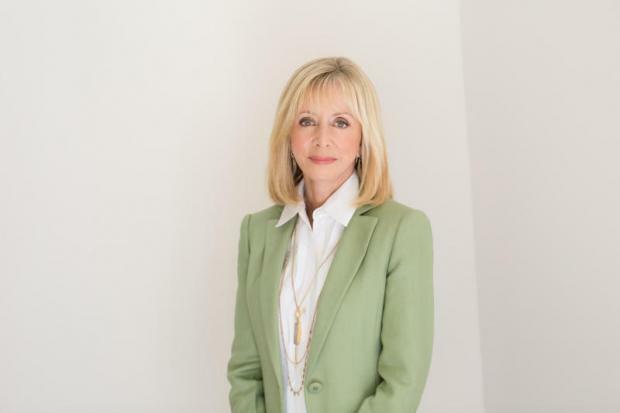 Judy Olian, dean of the UCLA Anderson School of Management and member of the advisory board of Catalyst, a leading think tank advocating for women in the workplace, discussed what her institution and the industry in general are doing to address the gender gap in the workplace. In 2000, only two of the Fortune 500 CEOs were women, down one from the year before. Back then women accounted for 11.7% of the board of directors of these companies, said Ms Olian. Today there are 32 female CEOs in the Fortune 500, accounting for 6.4% of the total, up from 21 in 2016. “We have seen some improvements for women in the workplace, but it has not been as much as we had hoped,” she said. The gap is not limited to top positions. According to Catalyst, women, on average, earn 77% of what men earn, and women’s labour participation rate decreased from 52.4 % to 49.6% between 1995 and 2015. Thailand fares relatively well when it comes to gender equality, but it’s on a downward trend. The country ranked 71 out of 144 countries in the 2016 World Economic Forum’s Global Gender Gap report — a marked drop from 40th place in 2006. But Thailand performs particularly well when it comes to economic inclusion. For example, it has more female (56%) than male professional and technical workers. There are females in top management positions in 64.8% of companies, and 64.4% of firms are at least partially owned by women. Women also constitute the largest proportion of students (60%) in tertiary education institutions. Nevertheless, the law does not mandate equal pay for equal work. Thai woman earned 77% as much as their male counterparts for similar work. In terms of income, Thai women made 78% of what males receive (13,778 vs 17,749 in adjusted US dollar), and have a markedly lower labour force participation rate (70% vs 86%). The income gap is markedly higher than in countries like Iceland, where women’s wages are 95% of what a man would receive for a similar job, and where the law dictates equal pay. While the country performs better on this metric than the Philippines, Malaysia and Indonesia, it still lags behind some of its regional competitors. In Vietnam, for example, women’s compensation is 92% that of men’s for similar jobs. In Singapore, where, like in Thailand, providing different compensation is legal, the number is close to 81%. Ms Olian’s research has tried to grapple with issues of gender inequality and suggests the solution might lie in understanding the decision-making drivers. The factors that compel, for example, a manager to hire a male applicant over a female applicant with similar qualifications, or the factors that lead females to choose less financially lucrative careers than males with similar talents and proclivities, might prove key. Ms Olian said a substantial part of the structure that results in gender inequality is the result of unconscious biases. Choosing a less qualified applicant just because they are male is a less than optimal decision that is driven by unconscious prejudices. Using less favourable descriptions to evaluate female applicants is also common, said Ms Olian. For example, a venture capital firm which may describe a man as ambitious and assertive will describe a woman with identical attitudes as cold and aggressive, she said. The impact of subjective corporate evaluations on women’s advancement has come under intense academic scrutiny. Behavioural economist Paola Cecchi-Dimeglio argues in a forthcoming book, co-authored by Columbia adjunct faculty associate professor Kim Kleman, that females are 40% more likely to receive “critical subjective feedback,” instead of positive or objective feedback. Like Ms Olina, Ms Cecchi-Dimeglio finds that in these evaluations, male actions or behaviours that are worded in a positive frame may be cast in a more critical tone when the worker being evaluated is a woman. For example, reviews assessing shy females may say they need more self confidence, while reviews assessing equally shy males may say they need to develop their ability to work with people, she said. Sometimes situations as common as a delayed response are interpreted in radically different lights. A woman with a delayed response would be diagnosed with “analysis paralysis”, while an equally slow-moving male colleague would be described as thoughtful. Many companies and institutions of higher education (including UCLA) are taking steps to start eliminating these biases, like hiring consultants who will call out managers on word changes like the ones described above during the decision-making processes. The disadvantages of women in the workplace, however, cannot be solved by nudging managers to eliminate biases in hiring. The gender gap is a social phenomenon that requires a societal shift to be solved, said Ms Olian. “There is no quick and easy solution,” she said. While bridging the gender gap may be costly, companies usually cash in on the resulting gender diverse workforce. For example, a 2014 study conducted by Gallup on over 800 business units from two companies in retail and hospitality found that gender diverse units in retail companies had 14% higher revenue than other units. In hospitality companies, gender diverse units had 19% higher quarterly net profits than their less diverse counterparts. Gender diverse units, Gallup hypotheses, benefit from a broader array of viewpoints and market insights and are able to “serve an increasingly diverse consumer base”.